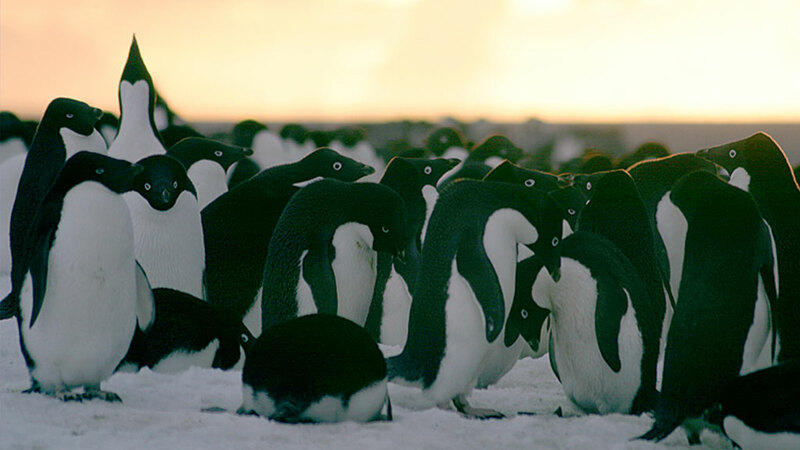 SciencePoles interviewed Meredith Hooper to mark the publication of her new book, The Ferocious Summer: Palmer's Penguins and the Warming of Antarctica. A trustee of the IPF-UK and recipient of the US National Science Foundation Antarctica Service Medal, Meredith Hooper's writing ranges from award-wining non-fiction books for all ages to academic articles and highly acclaimed fiction and information titles for children. During the last fourteen years, she has been invited as a writer on United States and Australian Antarctic programmes and has specialised in writing about the history, geology and wildlife of Antarctica. In researching your new book, you spent two seasons at the US Palmer Station on the Antarctic Peninsula following and documenting the work of scientists studying Adélie penguin behaviour and adaptation to climate change. Was the book you set out to write the same as the one that you ended up writing? To me, Palmer Station, just off the western side of the Antarctic Peninsula, is a kind of magnifying glass and its physical location was always central to the book. Palmer is a hinge area where animals from further north share space with true Antarctic species. Two climates meet here, warm moist and cold dry, maritime and continental. Small islands buzz with summer life. Adélie penguins return every year to some of these islands to build their nests, and raise chicks. Seabird ecologist Dr Bill Fraser has worked with the Palmer Adélies most years since the mid 1970's. At the end of the 1980's Bill proposed a mechanism for linking changes in penguin population numbers to environmental warming. Tracking Bill's penguins, and his thinking, gave me a route into the complex subject of climate change I'd been looking for: a microcosm, as one way into understanding the macrocosm. But by extraordinary chance, I spent four months researching at Palmer in the summer of 2001-2002 when climate change really hit. We didn't really understand what was happening. Animals, in particular the Adélies, really suffered. In many ways, I got much more than what I bargained for. So to answer your question, my story - the book's narrative spine - turned into an eye-witness account, an unfolding of the experience, and impact, of climate change, in a specific place: news from the front-line. The story I was telling began widening and deepening. Palmer's Adélies, the 'ferocious summer' as Bill called it, other events across the Peninsula, were all key parts of the jigsaw of understanding climate change in this crucial part of the planet. Pieces began clattering into place. But they took time. Scientists working in a number of key disciplines had to assess their research, publish papers, push data into models. Understanding the ferocious summer required a longer chronology, and the story has only now, five years later, reached its natural conclusion. This is the book I ended up writing. In marked contrast to recent books by the likes of James Lovelock, Tim Flannery and Al Gore which depict climate change from a global perspective, your book tackles the big picture from a very focused and localised standpoint. Do you think that the science and perception of climate change is shifting from the global to the local? Climate change isn't a blanket thrown evenly over the surface of earth. As I say in the book: "Its impacts are variable. They can be specific, local. Climate change can deliver sudden blows, or glancing whacks. It can insinuate - barely noticeable - then unleash a tumble of events. What changes is quantity, quality, intensity. Adjustments to the delivery systems." Precise, long-term data collection has been and is at the heart of climate change studies; and that is by definition local. The impact of weather - as we all know, from experience - can be intensely local. The Antarctic Peninsula is a clear example. The most rapid rise in temperature has been on the western side of the peninsula, during winter - a rise ten times the mean rate of global warming. But local and global travel together. Each informs the other, irretrievably entwined. Local realities can have profound effects, and unpacking the ways in which local, regional and global connect is one of the great challenges in coping with climate change. An ecologist like Bill Fraser, working on penguin populations, wrestles with the shifts between local and regional, the scales of time, and place. As a historian, I think of analogies: like the Black Death, traveling globally, but entering regionally at specific times and places, and hitting localities - right down to the details of households, and individuals. Then those populations losses reverberating out from the local, to the regional, and national - impacts on for example, food supply, labour skills, on economic and social organisation. Exactly how is climate change on the Antarctic Peninsula affecting local penguin populations? The mechanisms for climate warming affecting Palmer's Adélie penguins are, according to Bill's research, fairly straightforward. The loss of the Adélie winter habitat, sea ice; and, on the smaller scale, the specific details of where they nest - what Bill's calls the 'landscape effect' - the impact of increasing amounts of snow, and rain on individual nest sites. The Antarctic Peninsula from its northern tip to where it beds into the continent is 1,200 miles long. With warming, the boundary between the two environments, maritime, and continental, is visibly slipping down the peninsula. In Bill's view it is now well south of Palmer. Species that have lived further north are moving into the Palmer islands. Chinstrap and Gentoo penguins are now nesting here in increasing numbers. Open water, less ice, means that different species invade. But less ice and warming seas impact on the marine ecosystem, and thus potentially on food sources. At Palmer a threshold has been exceeded by the environment, which the Adélies can't handle. Palaeobiology records show that Adèlies have been nesting here for the last seven hundred years. Now - their numbers are in severe decline. Are the scientists across the Antarctic Peninsula surprised by the speed of the change they are seeing? Yes. While I was at Palmer, just across the mountains of the Peninsula, the massive Larsen B ice shelf began collapsing at catastrophic speed, changing forever the outline of the eastern coast. It was dramatic evidence of warming. After the ferocious summer, changes on the Antarctic Peninsula continued faster than scientists had ever anticipated. They were of greater speed, scale and magnitude than had ever been considered possible. Scientists say that they were shocked by warming so fast, intense, and widespread. How certain are they that this is indeed the result of man-made (anthropogenic) greenhouse gas emissions? The climate particularly on the western side of the Antarctic Peninsula is highly variable. Identifying the mechanisms for the rapid winter warming here is proving very difficult. In the book, I track scientists' unwillingness to link the warming on the Antarctic Peninsula to global climate change, but also their search for mechanisms to explain the warming in terms other than natural variability. Now at last mechanisms have been identified for the warming across the top of the peninsula, and the northern part of the peninsula's eastern coast, and these include anthropogenic emissions as outlined in the book. As you suggest, people often get confused by press and other reports on climate change in Antarctica, some of which suggest that it is one of the fastest warming regions on Earth, and others that the continent is in fact cooling. Can you help clarify this confusion? The Antarctic Peninsula is indeed one of the fastest warming regions on Earth. But data about temperature changes on the Antarctic continent, of which the peninsula is a part, are so far very sparse. The continent is vast, insufficiently studied, harsh, and difficult to access. 90% of all our planet's ice is in Antarctica. Much of the continent is immensely cold. It's easy for people to be confused about whether a statement refers to the Antarctic Peninsula, or the continent. The problem is that specifics become generalized. Collapsing ice shelves fringing the peninsula's coasts, like Larsen B, can in the popular imagination become ice collapsing from the continent. The large reduction in sea ice cover on the western side of the Antarctic Peninsula can become a general reduction of sea ice around the continent. By telling the story of the ferocious summer, and Palmer's penguins, I try to locate my readers in a specific place. From there, they can move out, to the vast reality of Antarctica and the crucial overreaching issues of our warming planet. To me, "Antarctica is the ice age". And now - climate warming is fretting at its edges, beginning to jostle and undermine, in ways we are only starting to guess at, and measure. What happens here in this huge often ignored part of our world matters. And this is really the essence of the book. 'The Ferocious Summer: Palmer's Penguins and the Warming of Antarctica' is available on Amazon. "The grey sky delivers scraps of snow, blowing horizontally. The sea is grey and lumpy. Crowded on the GOULD's small bridge, I can't get my bearings. I've spent weeks among these off-shore islands at Palmer, yet nothing looks familiar. But I can see one immediate, fundamental difference. This is high summer. The islands should be rocks streaked with snow. But they are snow streaked with rocks." "Bill's Adelies, struggling, failing, persisting, succumbing, were a small poignant example of a potentially vast reality. In one sense, they had become surrogate humans. Through them, the impact of a changing climate on established communities was palpably visible, a kind of parable in real time. This is how it is, if you have been residing in attractive island real estate, and climate change comes knocking on your door." "It takes surprisingly little warming, or cooling, to make a difference to climate. But in parts of the Antarctic Peninsula temperatures hover around a critical divide: the melting point of ice. The crucial shift is from freezing to liquid, liquid to freezing: that extraordinary dual state of water, tipping either edge of a point, flipping function and status within the smallest range. The peninsula is now a permanent performer in the theatre of ice to water. It has begun to decouple from the ice age." "Climate is what you expect. Weather is what you get. Climate is the average weather. Climate change is getting weather we are not used to. Climate change is changes to the average, to the chances of something happening: changes in probability, increases in the frequencies of what the weather does. Climate change is when climate goes beyond what is considered natural variability. What was predictable becoming unpredictable. Uncertainty beginning to dominate." "Living things flourish where they can, while they can. Salutary reminders for us humans, cocooned by urban living, lulled into assuming we can somehow ignore, or forget, the changeability and vulnerability of the thin layer of planet we use, the tiny, damp, curved space we happen to occupy at a pleasantly warm moment. Here on the Antarctic Peninsula impacts of warming can be tracked. It's a clear, stripped-down preview of what could occur elsewhere. It's an unpacking of the ways climate change can reveal itself. It's a prologue to the way climate change can happen." "Climate change is marvellous and merciless: the greatest, most important, most exciting, most serious challenge we humans face. It reaches into every part of what we don't know. It underlies much that we need to understand. It scoops more and more scientific disciplines into ever more ambitious and important attempts to comprehend global systems. It demands that we think connectedly.... And it means understanding ourselves, that ongoing complexity, and how we relate to our planet..."
Meredeth Hooper is a Writer, lecturer, and expert on Antarctica. Her writings range from award-wining non-fiction books for all ages to academic articles and highly acclaimed fiction and information titles for children. Originally from Australia, she is now based in the UK, and serves as a trustee of the International Polar Foundation in the UK. She has also received a US National Science Foundation Antarctica Service Medal.